I don’t follow sports, so I doubt I ever would have heard of Colin Kaepernick’s decision to remain seated during the national anthem before a football game if it hadn’t been all over the news. But I did see a few comments that got me thinking about how the anger at this and other such protests demonstrates how patriotism is so associated with religious ritual. 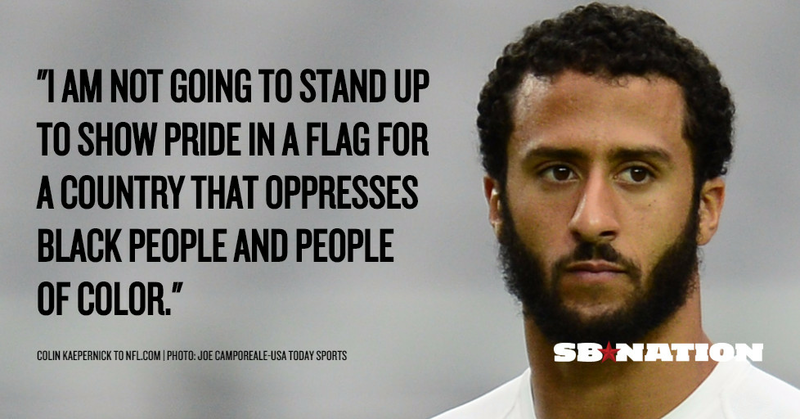 Kaepernick’s reason for sitting was to protest how the country treats black people, which is certainly a valid argument, and I’m sure there’s some racism involved in objecting to it. It’s been pointed out that Donald Trump, the guy whose main campaign slogan implies the United States isn’t that great, said that Kaepernick “should find a country that works better for him.” Another point I’ve seen a few times is that white people tell black people to protest quietly, and then complain when someone does exactly that. A few days ago, I noticed someone had replied to a tweet by Kate Upton, a woman who is famous for having large breasts, about how members of the Miami Dolphins kneeling during the anthem on September 11th was somehow unpatriotic. Apparently EATING the flag is okay, even though Dr. Zoidberg got in trouble for that. She had Geraldo Rivera, a guy who recently defended Roger Ailes, agreeing with her. They’re allowed their opinions, of course, just as Jenny McCarthy is allowed to say that a kid sharing the same mental condition I have would be worse than their dying of the measles. I do kind of wonder why anyone would listen, though. I’m sure there are women who take off their clothes for pictures and aren’t that insulting to minority populations. The thing is, even if these protesters didn’t have valid points, would that really be so terrible? Why do we put so much stock in patriotic rituals? 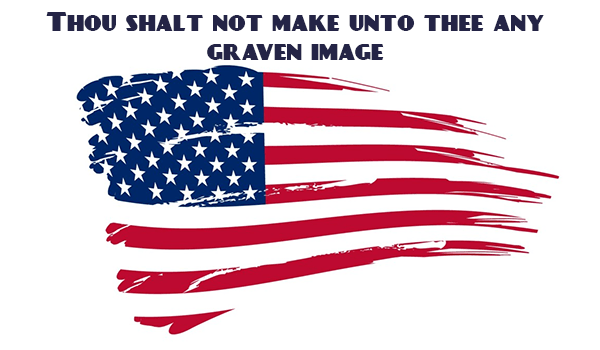 Why is the Pledge of Allegiance still a thing, with or without the words “under God”? It was common for people who hated President Obama to circulate pictures of him where he’s the only one in a group picture not holding his hand over his heart or wearing a flag pin. These were generally, perhaps always, taken out of context. Even if they weren’t, however, how does making the proper hand motions indicate whether you love the country, and whether you’ll be a good chief executive? I get that ritual is important, a way to feel like you’re part of something bigger, but ultimately it doesn’t really affect anything. I don’t think the flag really cares if you salute it. If it stands for liberty and freedom, as people are fond of insisting, doesn’t that include the freedom not to participate in these rituals? When there’s a separation of church and state, that means the state can’t become a church any more than we can institute a national religion. It’s not too surprising that there appears to be a correlation between evangelical fundamentalist Christianity and American exceptionalism. Or is it? I mean, the United States was founded as a secular nation, and Christianity was created as a religion not tied to any specific nation, so it’s kind of a contradiction. I might well have mentioned before that the Pledge of Allegiance and mandatory prayer are merely a nuisance to atheists and agnostics, but must be downright blasphemous for those who follow a different religion. I know Jehovah’s Witnesses are opposed to the Pledge. And really, how can you say you support liberty, and then insist that everyone has to follow your religious standards? This entry was posted in Celebrities, Christianity, Current Events, Fundamentalism, Games, Politics, Prejudice, Religion, Sports and tagged colin kaepernick, donald trump, flags, football, freedom, geraldo rivera, kate upton, liberty, miami dolphins, pledge of allegiance, president barack obama, protest, racism, ritual. Bookmark the permalink. Seriously, to your last paragraph. A friend of mine in 6th grade was a Jehovah’s Witness, and while I gawked at most of the things she wasn’t allowed to do, her explanation for abstaining from the Pledge struck a nerve in me, and I grew gradually more uncomfortable with doing it myself over time, until by late high school I was standing with my hand over my heart, but not saying it. It got a little awkward sometimes when I subbed in homerooms as an adult and had to lead the class in the Pledge– I did it when I had to, but to be honest I just don’t feel RIGHT doing it, even if there’s nothing in the official Roman Catholic doctrine against it. Maybe this culture of gung-ho flag-loving PATRIOTS has just further repulsed me from it, because it DOES make it seem all the more clearly idol-worship. It’s amazing that some of the same people who are so against gay rights and other stuff only occasionally and somewhat debatedly proclaimed in the Bible are so insistent that people OUGHT to break the FREAKING FIRST COMMANDMENT. It struck me just the other day as I was walking past a house that had an American flag hanging on it that it’s a shame that, if a private home or business has a flag and it’s not the 4th of July, you kind of KNOW that that’s one of the flag-worshipping gung-ho PATRIOTS nowadays. They’ve kind of ruined the flag as an expression of simple and genuine patriotism by saddling it with so much other BAGGAGE. The jingoists have ruined patriotism, I suppose. I was expecting that your ignorance would include the famous and most misinterpreted phrase “separation of Church and state” and the absolute necessity of bringing homosexuality into your nonsensical tripe. I would suggest you find some “origina” history books….. Not the watered down or completely revised because they are filled with lies. How people can choose to be so ignorant of a sentence written in a letter is difficult to fathom, as an American with a functioning brain. However, as a sinner redeemed by the precious Blood of my Jesus, who knows what prophecies have been fulfilled and which WILL be fulfilled when Almighty God is ready, your foolish commentary is no shock. The letter that used the phrase said that the government couldn’t enforce a particular religion or stop the American people from practicing their choice of religion. I can’t see how that would be compatible with a state religion. And where did I mention homosexuality in this post? It looks like that was me in my comment, off-handedly referring to gay rights. Whereas *I* never discussed the separation of church and state in my comment, just the commandment against worshipping idols. So what does that say about how people find a post to cherry-pick respond to? For all I know it’s a bot anyway. There’s not too much point in replying to stuff like that, but I tend to hold out the vague hope that people with such arguments will at least explain their reasoning. They usually don’t.